TLDR? 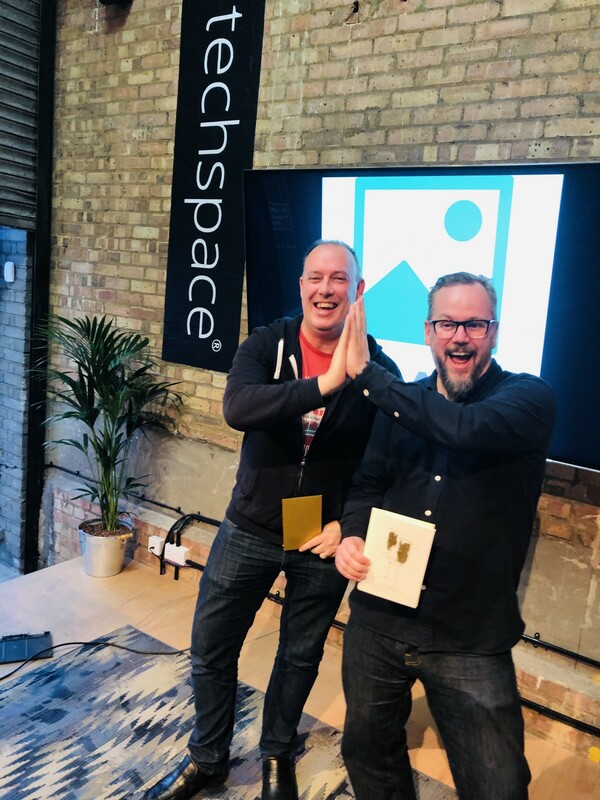 — watch the video above for highlights from Scape’s first AR Hackathon! 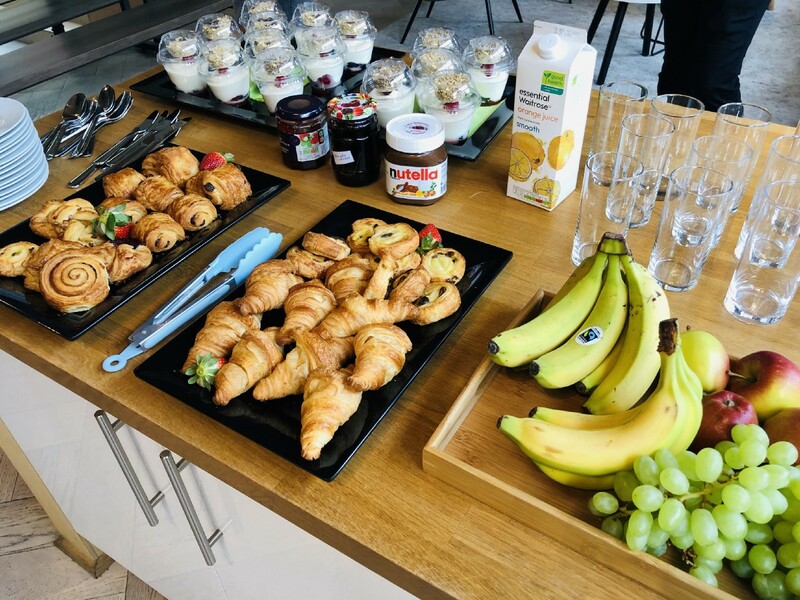 Friday morning, a typical day at work for most of us, for others there is something different, something unusual, something exhilarating happening today. 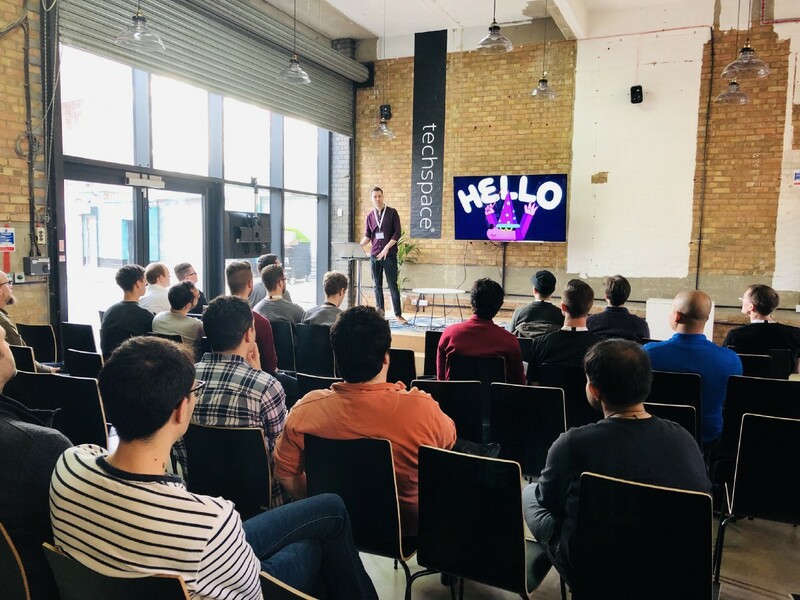 Today is the day developers gather from all around the world as far as Los Angeles, Amsterdam, Edinburgh to attend Scape Technologies first official hackathon. It will be a chance to play, to explore, and to be curious. 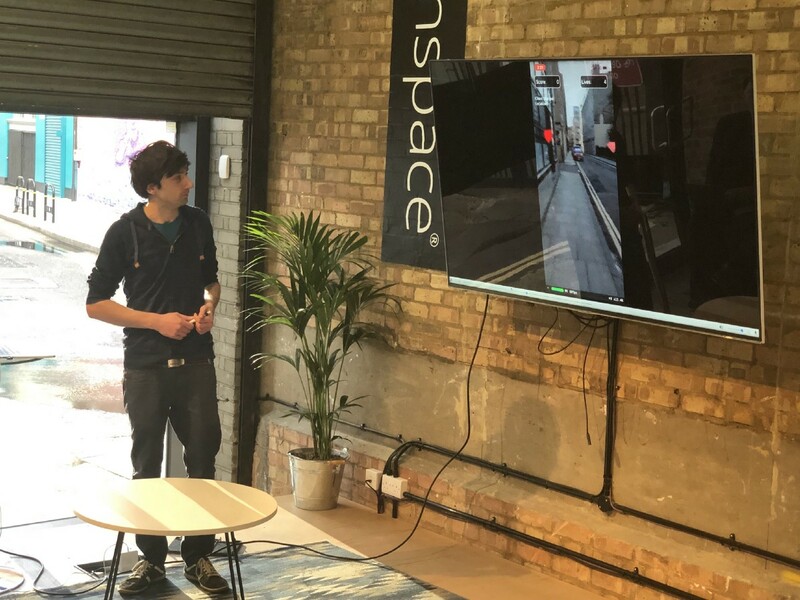 For many, interest was driven by a desire to test Scape’s SDK ‘ScapeKit’, which provides hyper-accurate location and orientation, outdoors and at an infinitely large-scale. 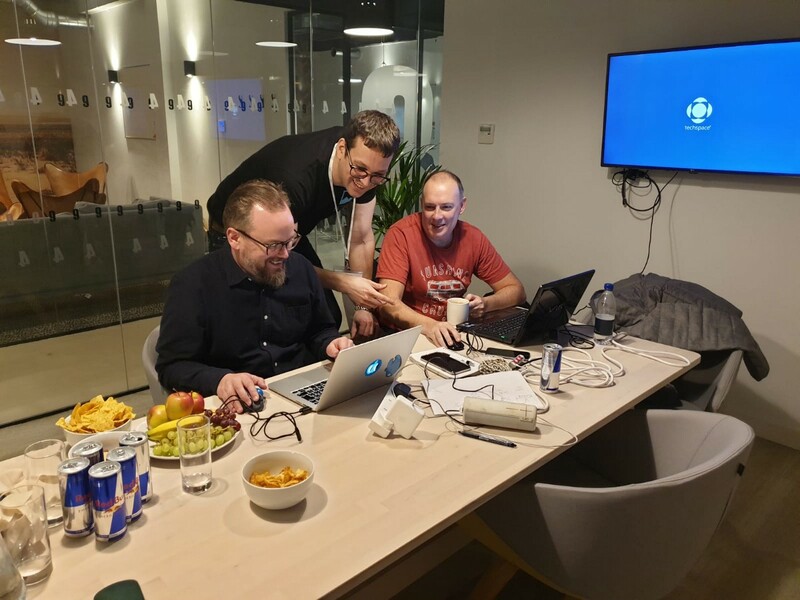 This was the first time so many developers were invited to test the SDK at the same time, so there was a sense of challenge, curiosity, and competitive spirit in the air! 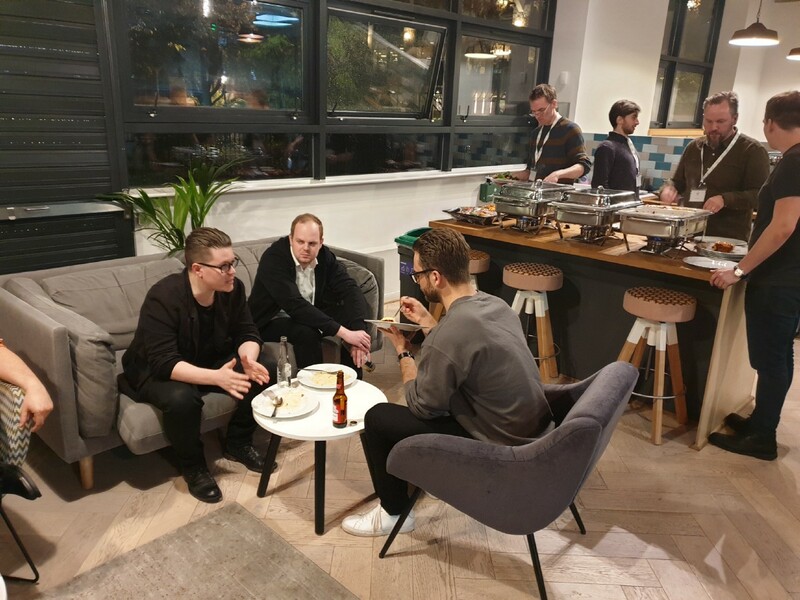 The Scape’s hackathon took place on 8th — 10th March and we would like to share the highlights of the 3-day event! Excitement is in the air as we kick off the first day! It is a D-Day, developers began arriving from every corner of the world. 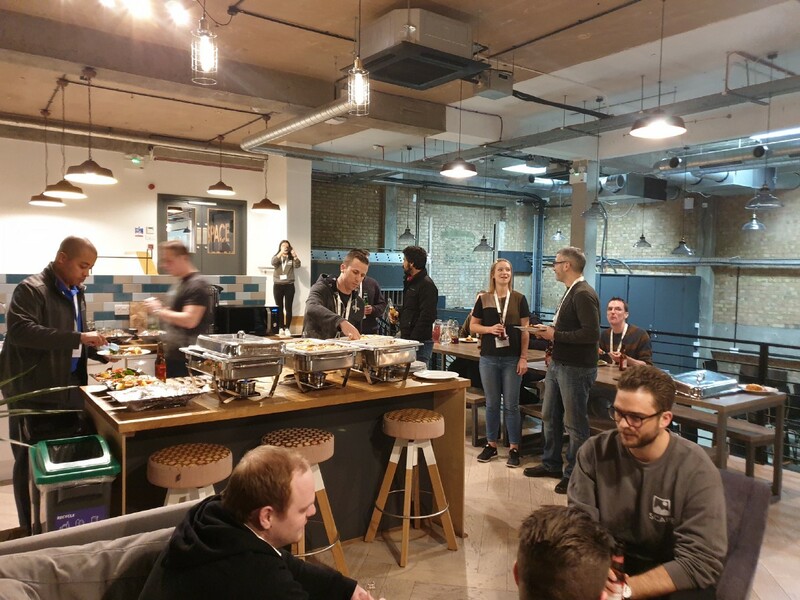 Overall 6 teams were invited to join us for the hackathon to explore and engage with our technology, to create something different and exciting! 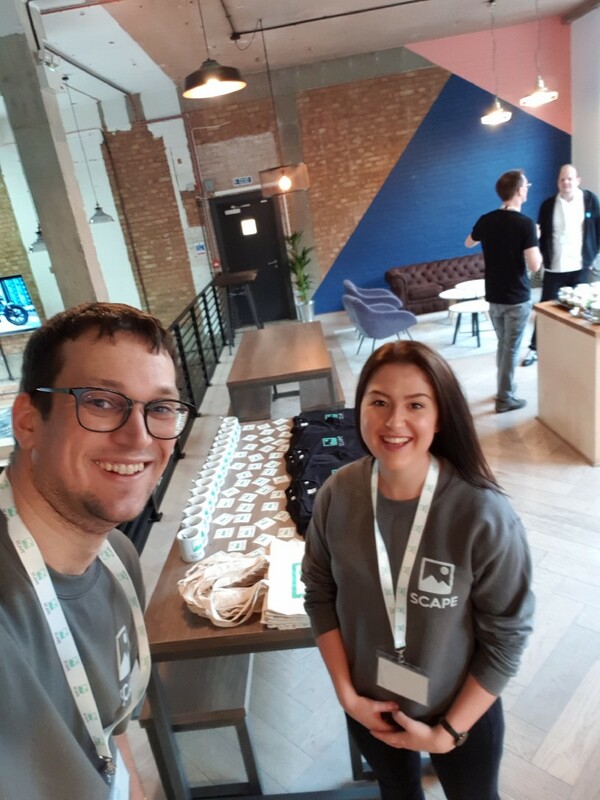 The event kicked off with CEO Edward Miller welcoming our participants and running them through the history of Scape, followed by the CTO Huub Heijnen digging into technical aspects of the ScapeKit and setting them up for the day! 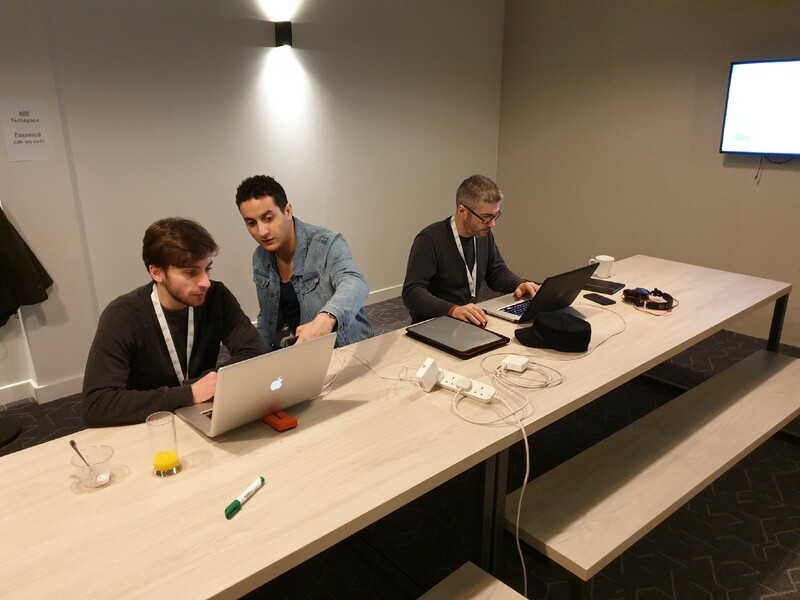 Coding ran for 3 days; throughout the weekend all participants were laser-focused on delivering the best technical solution to pitch to the judging panel and community during the closing ceremony. 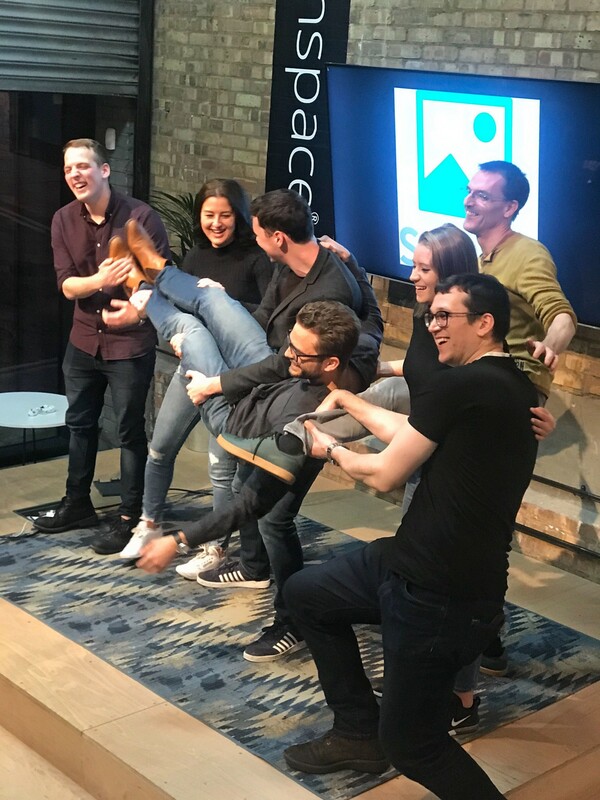 All 6 teams focused on making sure that their ideas were innovative, as well as possible and valid within the constraints the judging criteria. Most of the participants came as strangers, but all of them went away as friends. 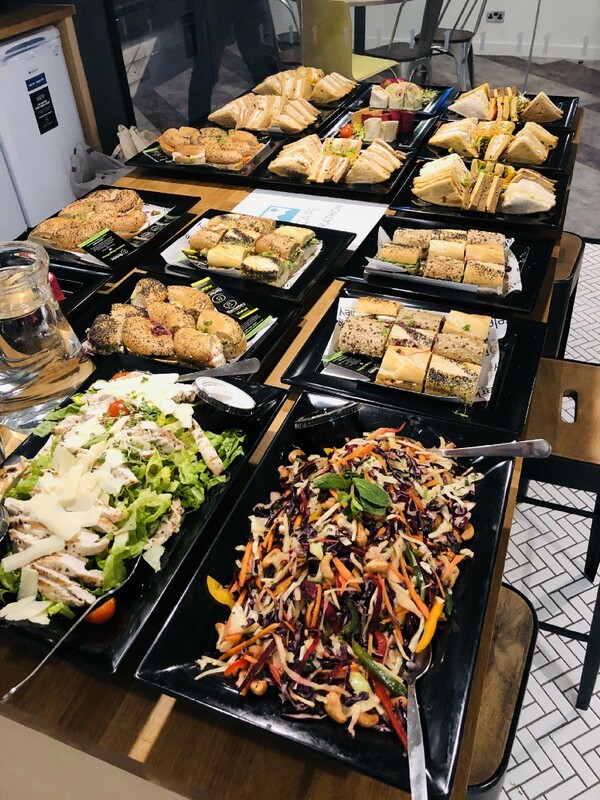 Each team was different but all of them were filled with enthusiasm and dedication: constantly pushing the boundaries of uncharted territory and keeping the eye on the prize. 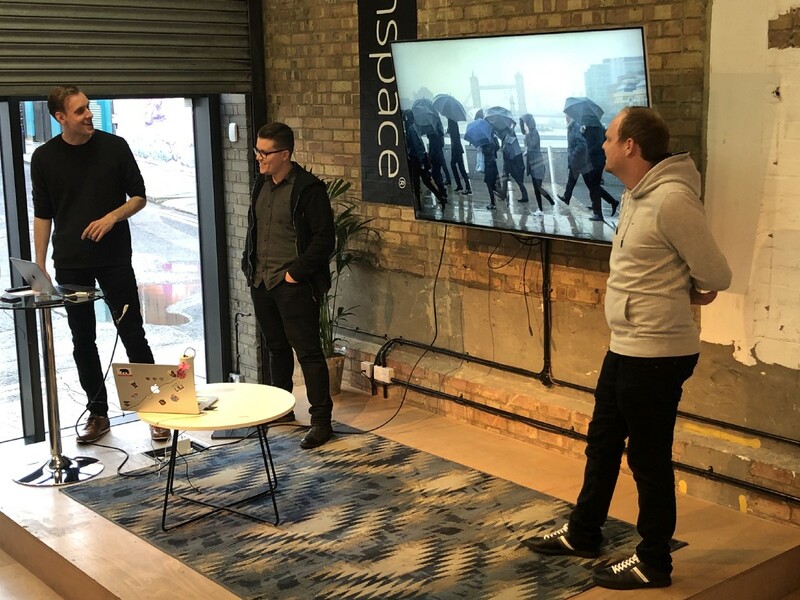 On the third day, hacking came to an end at 15.30 and each team was invited to present their creation to the panel of judges in the closing ceremony. 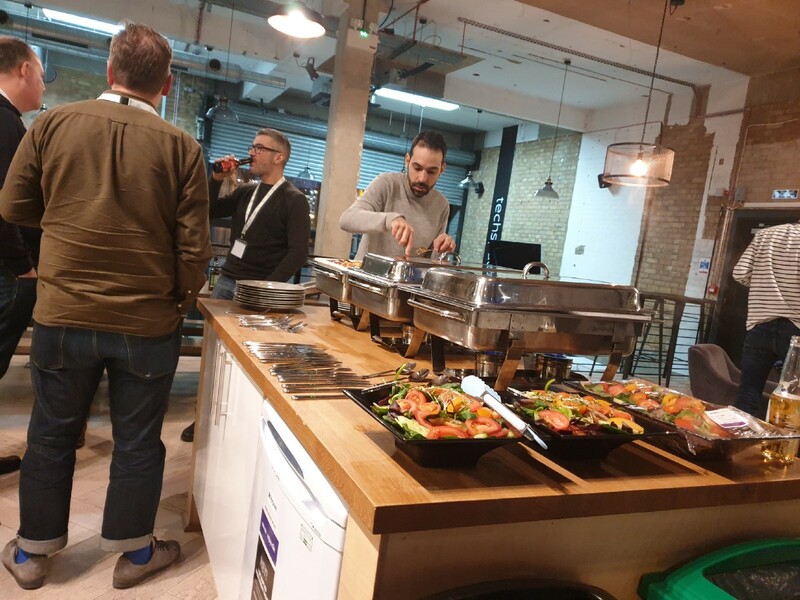 Without any hesitation, each team performed exceptionally and presented very different projects. They produced applications that solve very difficult problems, in a very short amount of time. It was clear that there was a lot of talent and determination from the teams to succeed! 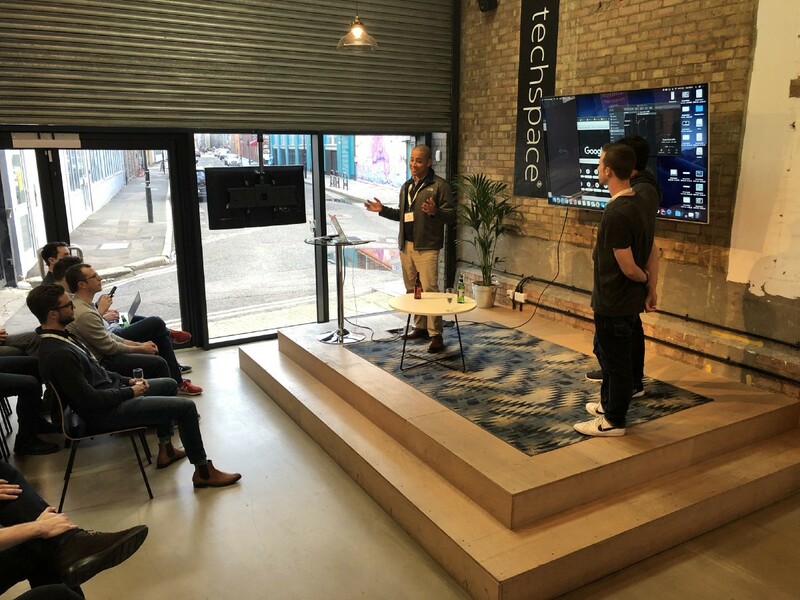 Derek, Bivas & Geoffrey demonstrated the use of localization in a multiplayer environment: allowing devices to interact within the same global reference frame. 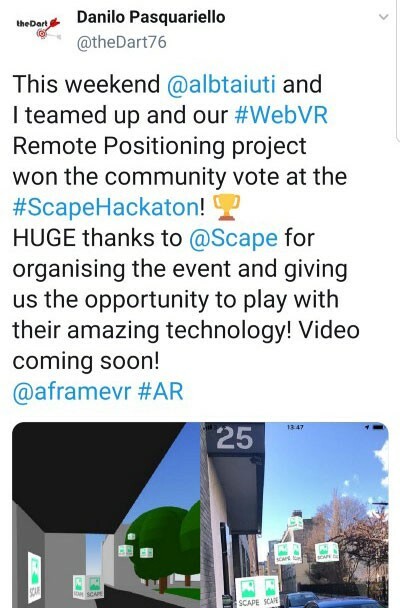 The team successfully showed that ScapeKit can be used as a reliable solution for multiplayer experiences, proving it works with precision in real-world conditions between devices. Gabriel was the only one-person team. He demoed his interactive game based on a scavenger hunt concept where the user was able to collect objects anchored to real-world coordinates. He bridged the interaction between digital content and physical world with the use of ScapeKit. 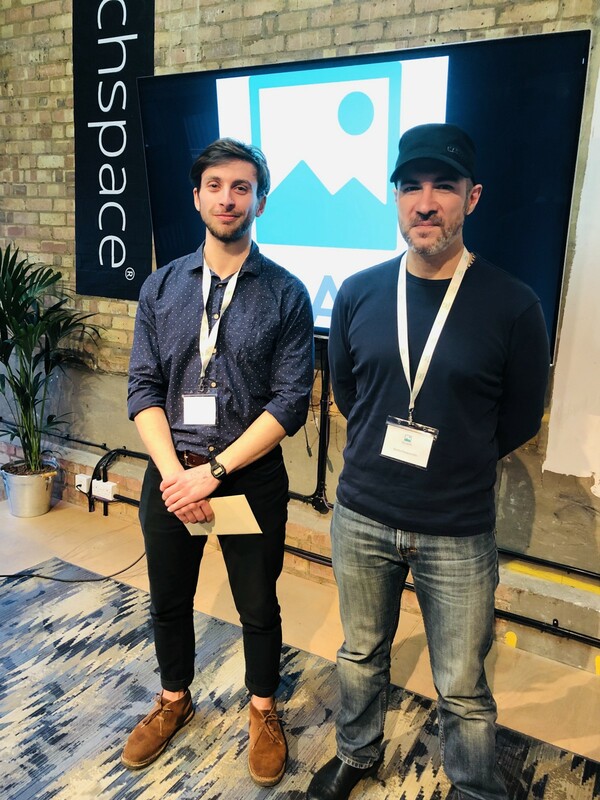 Lucas and Richard presented a concept drone delivery service where the user could define drone landing zones utilizing ScapeKit’s visual positioning system. By using Scape’s visual positioning service, the team marked out their landing-zone ready for a drone to touchdown! They also expanded their implementation to allow users to set up no-fly zones. 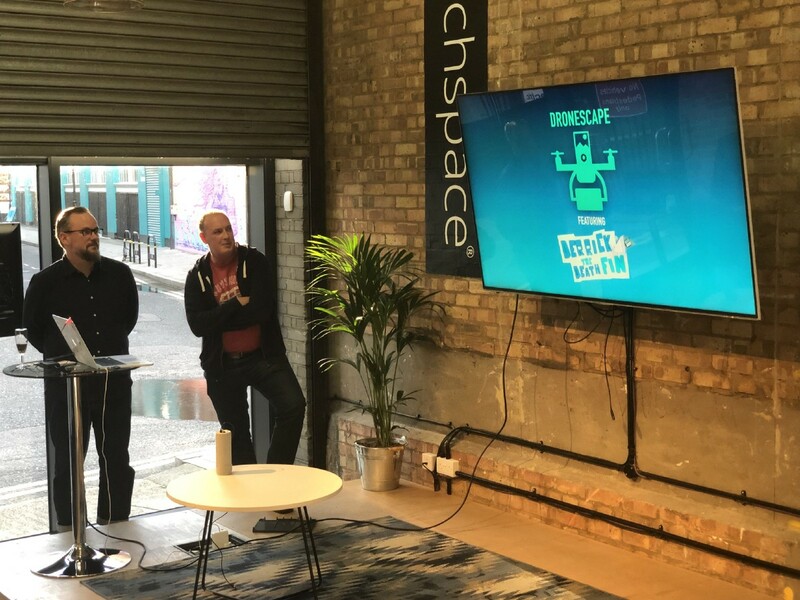 Samhoud Media and Kilograph teamed up over the weekend to create ‘BanderScape!’: a geospatial narrative inspired by the Netflix hit Bandersnatch. 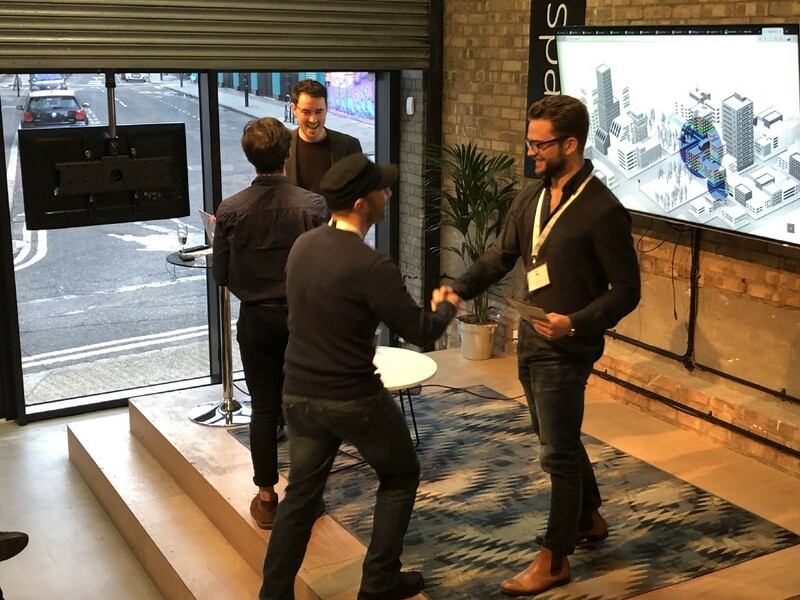 The teams created an application where the user was able to explore the story and create a narrative which was driven by the user's navigation through the real world using the power of ScapeKit’s visual positioning service. 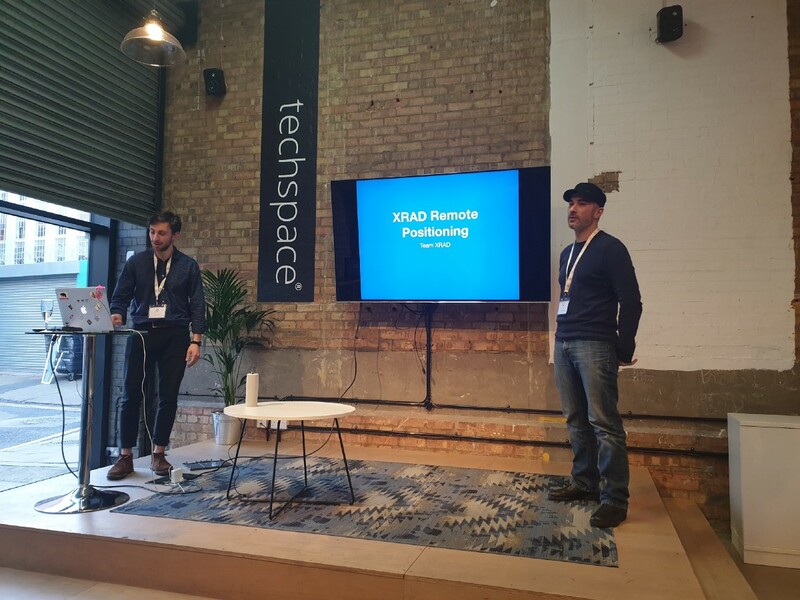 Utilizing a 3D model from AccuCities, team XRAD were able to create a simulated area of the location in webVR in which they were able to dynamically add virtual content at runtime. 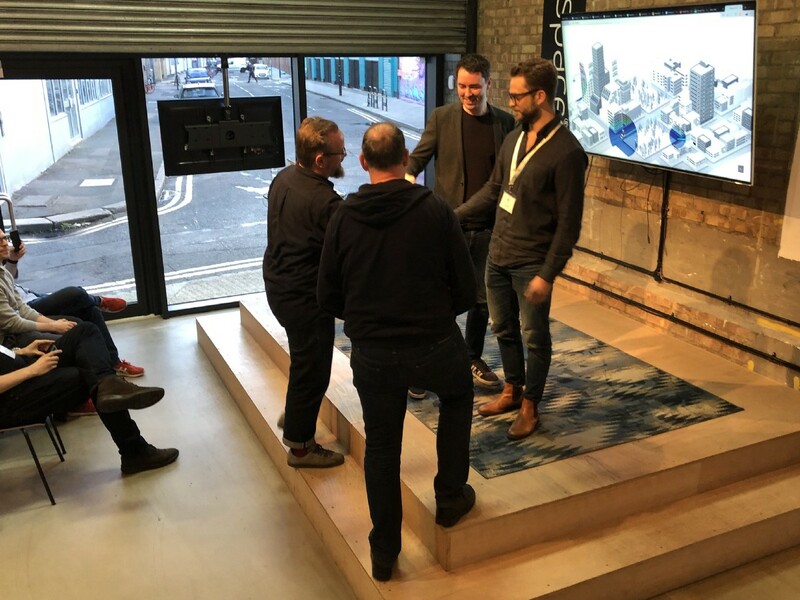 By taking advantage of Scape’s hyper-accurate location, they made it possible to display the digital content placed in the simulated world, in the physical environment. 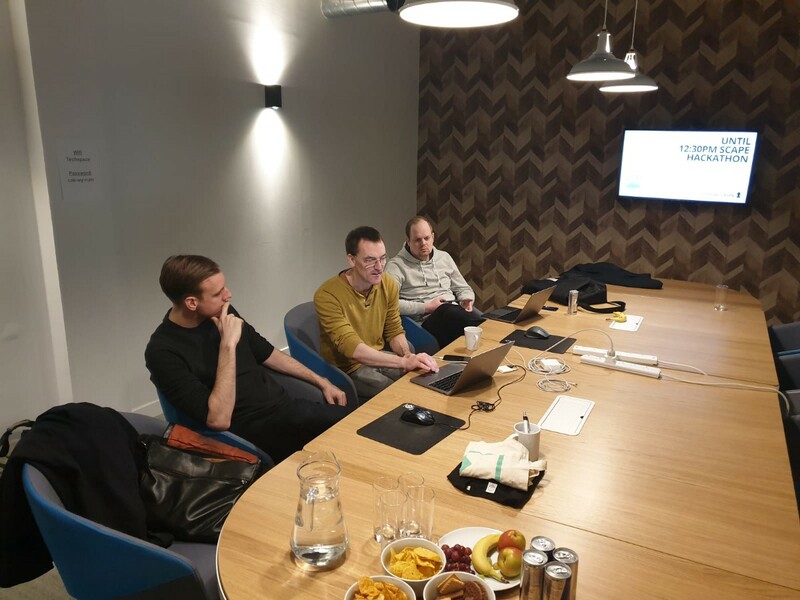 Once all of the teams had executed their pitches where they presented a compelling vision of their creations, the judging panel: Scape’s CEO Edward Miller, CTO Huub Heijnen and guest judges CPO Toby Allen- Pikaway and CTO Romain Derrien- Ubicolour retreated to their secret chamber to deliberate on their winner. 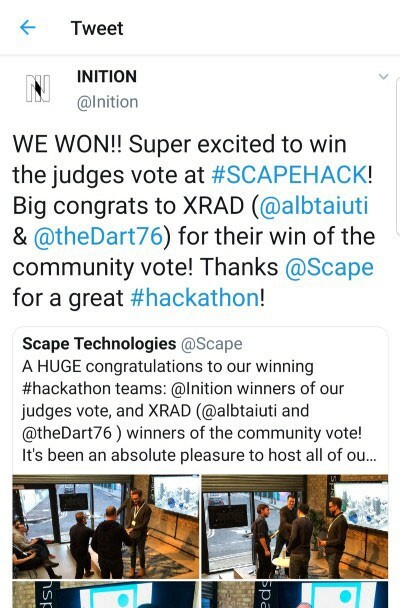 At the same time, the vote was also put to the community, allowing for the participating teams to vote for their favourite creation. After much deliberation, team Xrad took the spot as community favourite and team Inition won the favour of the Judges. Both teams ended up taking home £500 prize money. 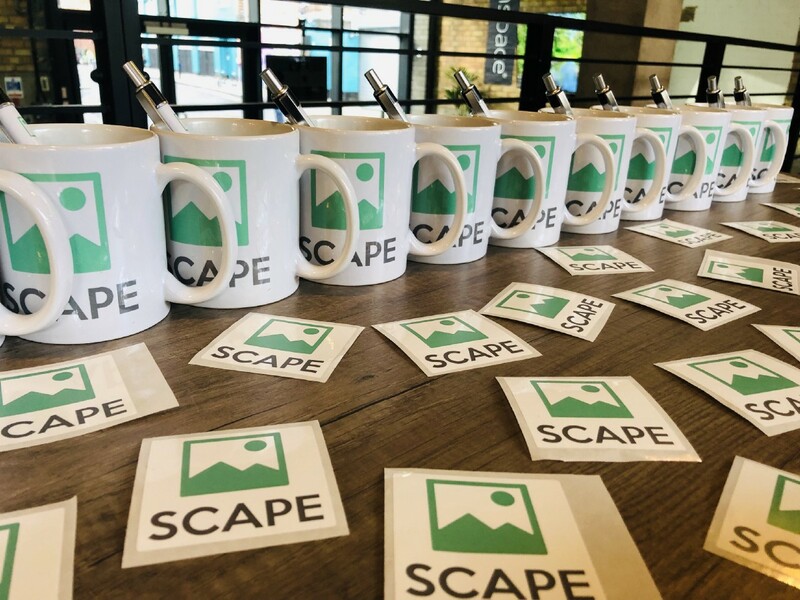 At Scape, we’re excited to build the future of spatial computing and it was a pleasure to see this theme resonate throughout the hackathon. 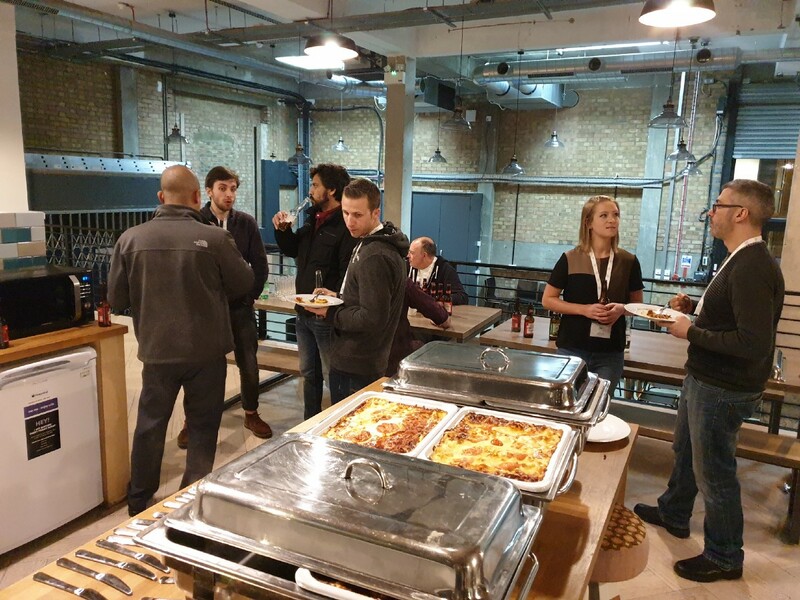 For many participants, this was their first hackathon and this was Scape’s first ever hack too. 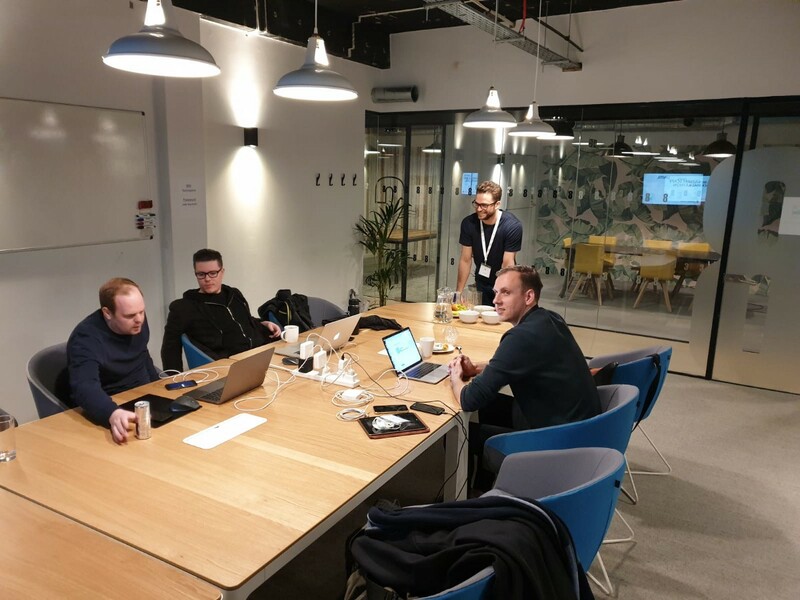 The feedback and support we received have been tremendous so we look forward to having more hackathons as we roll out to more cities around the world in the future! 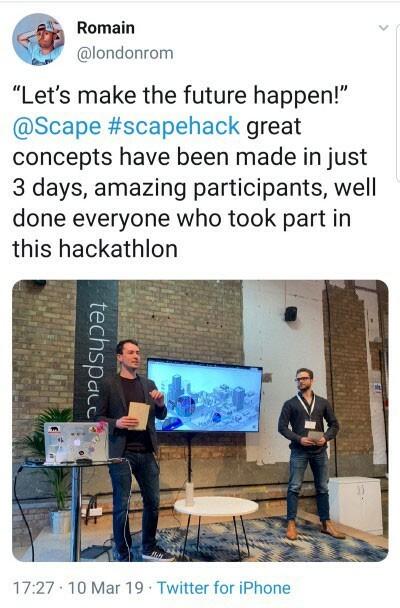 Finally, we would personally like to thank all of our participants on behalf of the Scape team, for taking part in the #ScapeHack and helping us to create a truly unforgettable event! 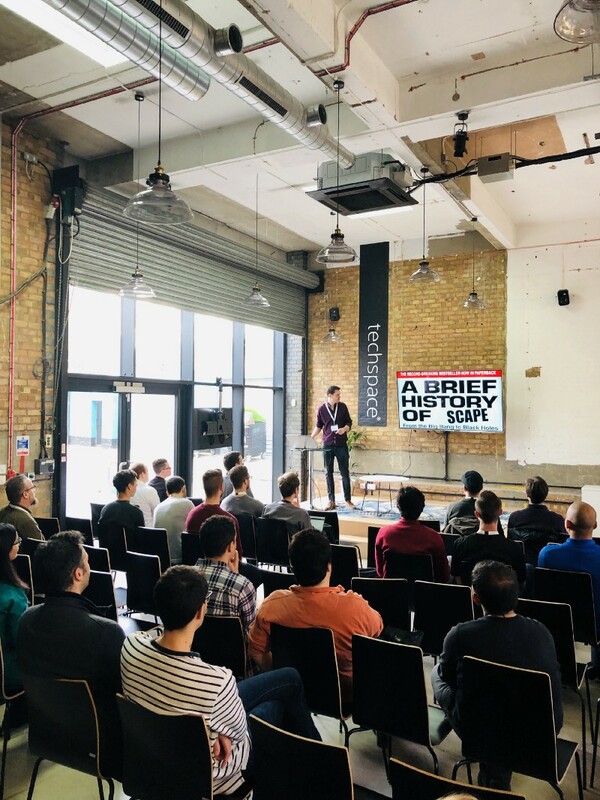 Edgars is Developer Relations Engineer of Scape Technologies, a computer vision startup in London, working to build a digital framework for the physical world. Follow Edgars and the company on Twitter. Thanks to Josephine O'Nyan and Huub Heijnen.